Can't blame you. Sekiro is a jewel, and it's hard as hell, so one feels in the need to share the glory when defeating those svckers. It also can look damn good. 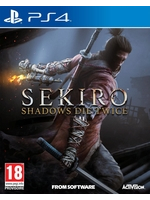 Since you have the time, do you plan on finishing any other games after Sekiro? 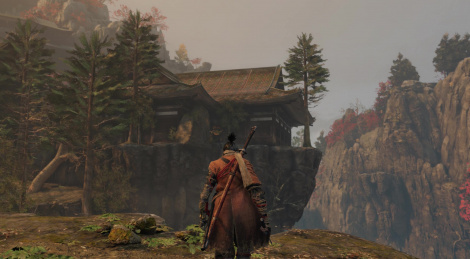 Or do you plan on doing a NG+ playthrough of Sekiro? I would definitely recommend Devil May Cry 5, it's an excellent game and the combat system is much better than Sekiro, allowing for a lot of creativity and flexibility even with just one character. Another one, although an oldie, is Dragon's Dogma, if you never finished it. Which has a great combat system, lore and enemy design. It's a mix of Shadow of the Colossus with Dark Souls in a way, which is just amazing. Sekiro and the Division 2 are my addictions of the moment. I don't care what other people say and I'm not even a big DMC fan, but Devil May Cry 5 is one of the best games of this generation. Absolutely. There's a video of just the training section with Dante that shows just a hint of the amazing combat in DMC5, it allows for a lot of creativity and fluidity to make the mount the combos the way you want each time. Additionally, there's a great talk by the DMC5 developers at GDC which thy talk like in DMC4 you had a very short window for sucess, so if you pressed too soon it failed, too late it failed as well. While on DMC5 there's a wider window, so you get a Weak, Medium and then Success and that they made it this way to teach the players and encourage them to get better with the game. Now that I think about it, that could be an excellent compromise for Sekiro, like if your deflect timing is too soon or too late, you receive some damage, but not the full damage - inside a certain window, like 0.5-1 second sooner or later. If you hit the medium spot, you receive less damage and if you hit the right spot you receive no damage at all. This way it wouldn't be as punishing, while still encouraging you to get better to both have an easier time as well as to make fights go faster. I don't believe this would compromise the vision, since it would still require skill and fast reflexes, but it's just an idea. Sdarts you definitely has the soul of a writer. What I loved most about Devil May Cry V was Nico. She is such a awesome new character! Witty, sarcastic, funny, and borderline insane. Amazing voice acting, Nico stole every scene she was in!